Hospital and radiology specialists will invest some $2 billion every year to deploy artificial intelligence technologies for medical imaging, Signify Research said, and the firm estimated that will happen by 2023. Signify’s AI medical imaging category encompasses software for automated detection, quantification, decision support and diagnosis as well as machine learning. Many consultants and analyst houses, in fact, are projecting big growth for AI and related technologies. Consultancy IDC estimated that the worldwide spending on artificial intelligence and cognitive computing overall technologies will grow by 60 percent to $12.5 billion this year. By 2020, it will have climbed to $46 billion. IDC’s estimates, of course, are broader than just healthcare. But there’s a lot of conversation and some early action in the radiology realm. 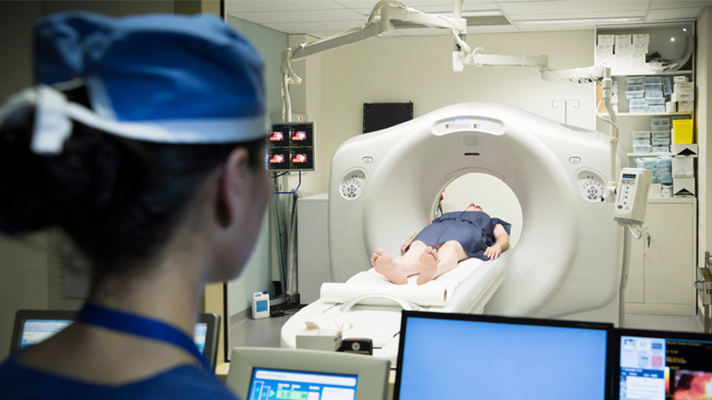 “The interest and enthusiasm for AI in the radiologist community has notably increased over the last 12 to 18 months and the discussion has moved on from AI as a threat, to how AI will aid radiologists,” Signify Research analyst Simon Harris wrote in the report. Signify’s new research shows that AI is poised to transform the diagnostic imaging industry with higher productivity and accuracy that enables personalized treatment planning, on the one hand, and on the other it will help radiology departments handle larger volumes of imaging, particularly as many countries are experiencing a shortage of radiologists. Harris added that clinical applications where the use of AI has been shown to both improve outcomes and ROI for hospitals are emerging, including software to detect and diagnose stroke and analysis tools to measure blood flow in non-invasive coronary exams. But as with AI in many realms, healthcare and elsewhere, before the tech goes mainstream in medical imaging there are a few hurdles. Harris pointed to a regulatory process that must be streamlined, the need for more large-scale validation studies of deep learning algorithms, algorithms that actually get to market and the reality that radiologists are going to need AI image analysis tools right in their workflows.